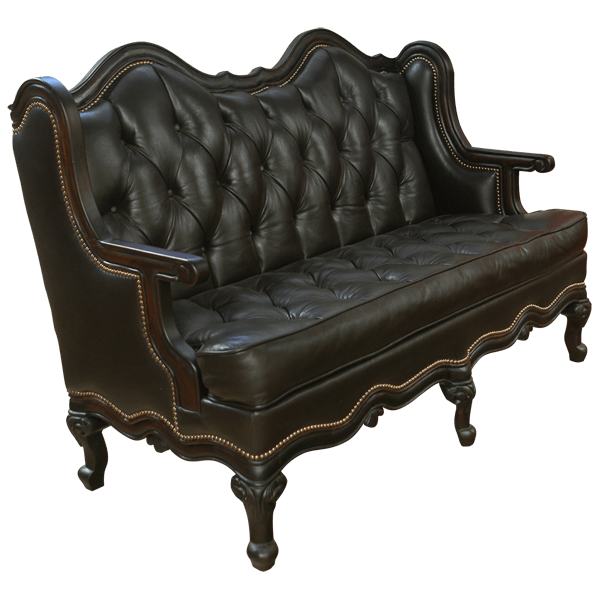 With its executive finish, this magnificent, handcrafted, Western style settee will be a perfect complement to your office or to your home decor. 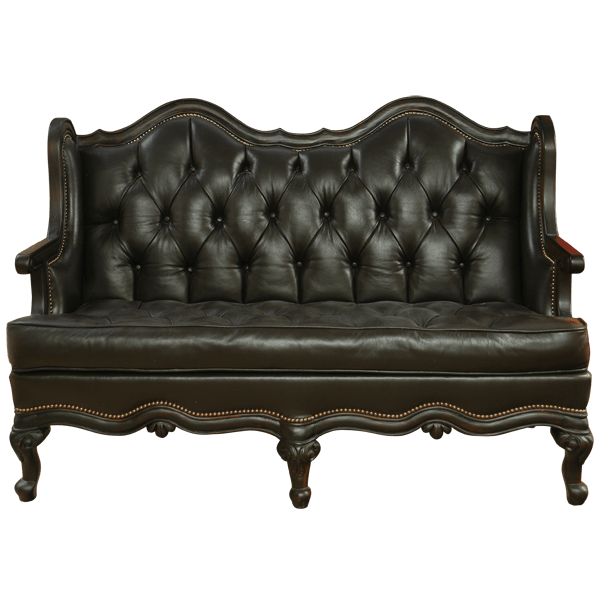 The padded seat, the padded front seat back, the reverse seatback, and the lateral sides of the bench are upholstered in opulent, dark, brown, full grain leather. 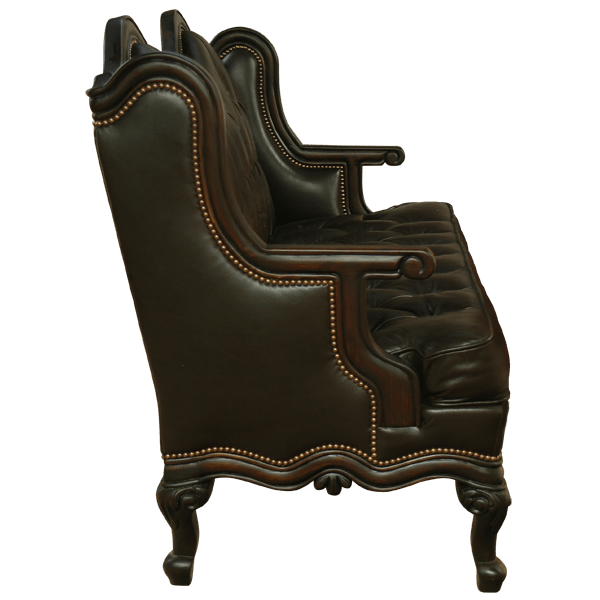 The seat and the front seat back have an exquisite, button tuff design, and all of the leather is precision hand tacked to the frame with gorgeous, decorative, gilt nails. The top of the seat back is beautifully curved, and top molding flows downward to the armrest. 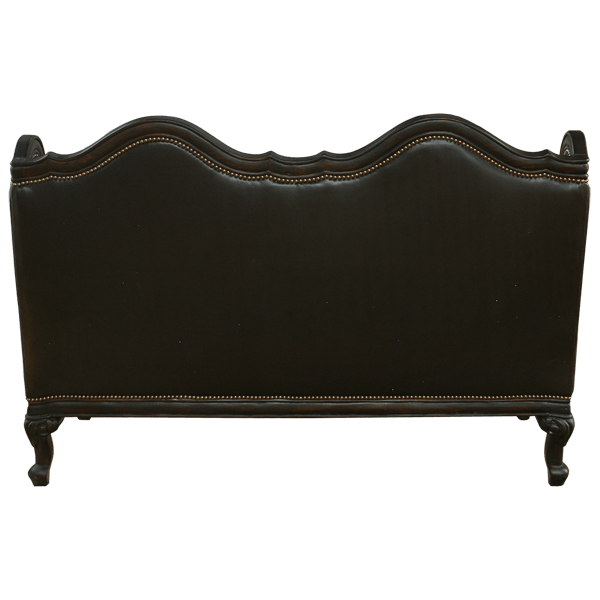 The molding also runs through the entire lower base of the settee, and the settee rest firmly on ornate, hand carved, cabriole style legs. The settee includes an additional, front, centered leg for extra support. It is made with the best, sustainable, solid wood available, and it is 100% customizable.